Our product range includes a wide range of hepcfix tablet, resof tablets, dalsiclear tablet 60mg - daclatasvir, sofocure v tablets 100mg/400mg - velpatasvir and sofosbuvir, ledihep tablets and sovihep tablets. 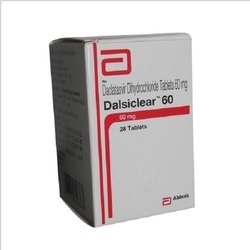 "The Hepatitis C Treatment Drug"
We are the reliable organization engaged in offering high quality and well-tested Dalsiclear Tablets. The offered tablets are appreciated for their purity, effectiveness and long shelf life. Our provided tablets are processed using optimum quality chemical compounds and ultra-modern technology in compliance with industry norms. Apart from this, these tablets are checked by quality analyst against various parameters so as to ensure their quality. 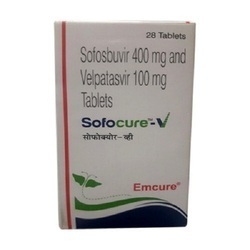 Velpatasvir & Sofosbuvir (Tablet Sofocure V) by Hetero is a combination of sofosbuvir and velpatasvir and is used to treat chronic (long-lasting) hepatitis C, a viral infection of the liver. It is also used with another antiviral medication (ribavirin). These drugs work by reducing the amount of hepatitis C virus in your body, which helps your immune system fight the infection and may help your liver recover. Chawla Medicos is a leading supplier of in India that provides quality medicines around the world with affordable prices. Our objective is to help people that are suffering from Hepatitis C and other serious life threatening diseases across the world in procuring Indian medicines which are trusted by doctors. We work with doctors in many hospitals, medical practitioners, and institutions. 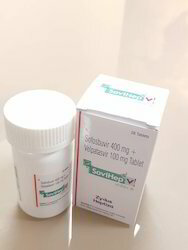 Sovihep and Ledihep is a prescription drug and should be used under proper medical guidance and advice.The information provided here is for general educational purposes only and does not constitute medical or pharmaceutical advice which should be sought from qualified medical and pharmaceutical advisers. We have been able to build up a long and mutual business relationship with clients by offering Ledihep Ledipasvir and Sofosbuvir Tablets. Our diloigent agents procure Ledihep tablets from the most authentic vendors of the market. The tablets are highly effective for the treatment of chronic hepatitis C (CHC) genotype 1 infection in adults. Clients can avail Ledihep tablets from us in different quantity packaging options. 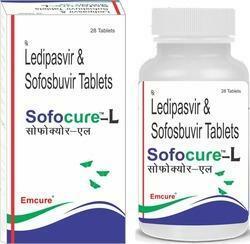 We offer Ledihep Ledipasvir and Sofosbuvir Tablets at affordable prices. Ledihep is a fixed-dose combination tablet containing ledipasvir and sofosbuvir for oral administration.Each film, coated tablet contains 90 mg ledipasvir and 400 mg sofosbuvir. LediHep is indicated for the treatment of choronic hepatitis C (CHC) genotype 1 infection in adults. Relapse rates are affected by baseline host and viral factors and differ between treatment durations for certain subgroups. Below provides the recommended LediHep treatment durations for treatment-naive and treatment-experienced patients and those with and without cirrhosis. WARNING: Ledihep is a prescription drug and should be used under proper medical guidance and advice.The information provided here is for Ledihep is a prescription drug and should be used under proper medical guidance and advice.The information provided here is for general educational purposes only and does not constitute medical or pharmaceutical advice which should be sought from qualified medical and pharmaceutical advisers. Ledihep is a prescription drug and should be used under proper medical guidance and advice. These tablets should be used combination with ribavirin or in combination with pegylated interferon. We have been able to attain strong market goodwill as a trusted organization engaged in offering our clients Sovihep Sofosbuvir 400mg Tablets. These tablets are indicated in combination with other medical products for the treatment of chronic hepatitis C in adults. We source these tablets from the trusted and reliable vendors of the market. We offer these Sofosbuvir 400mg Tablets at reasonable prices to clients. The recommended dose of tablets is one 400 mg tablet, taken orally, once daily with or without food SoviHep should be used combination with ribavirin or in combination with pegylated interferon and ribavirin for the treatment of CHC in adults.The recommended regimen and treatment duration for the combination therapy is provided in following table. If a patient has a serious adverse reaction potentially related to ribavirin, the ribavirin dose should be modified or discontinued, if appropriate, until the adverse reaction abates or decreases in sverity.Provides guidelines for dose modifications and discontinuation based on the patient’s hemoglobin concentration and cardiac status. It is used in combination with ribavirin to peginterferon alfa/ribavirin; the contraindications applicable to those agents are applicable to combination therapies. Refer to the prescribing information of peginterferon alfa and ribavirin for a list of their contraindications. When this is used in combinations with ribavirin or peginterferon alfa/ribavirin, women of childbearing potential and their male partners must use two forms of effective contraception during treatment and for at least 6 months after treatment. Monthly pregnancy tests must be performed during this time. Packaging Details: Parcel Must Be Take 7 To 15 Days All the parcel are assured as non-delivery. Natdac is a prescription drug and should be used under proper medical guidance and advice. Do not share the medicine with others,Since they may be suffering from a problem that is not effectively treated by this drug. 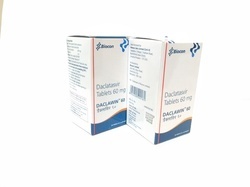 We are identified as one of the leading organizations, engaged in offering Natdac Tablets. Our expert agents procure these tablets from the certified vendors of the market. 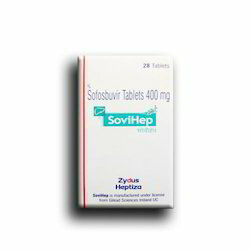 The tablets are indicated in combination with sofosbuvir for the treatment of patient with chronic hepatitis C virus. 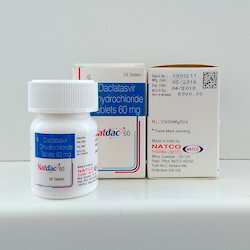 Natdac Daclatasvir Tablets are recommended to be taken orally with or without meals. We offer these tablets at pocket friendly prices. Natdac 60 is an inhibitor of non-structural protein 5A (NS5A). Natdac 60 is indicated in combination with Sofosbuvir for the treatment of patient with chronic hepatitis C virus (HCV) genotype 3 infection. Treatment with Natdac 60 should be initiated and monitored by physician experienced in the management of chronic hepatitis C. The recommended dose of Natdac 60 is 60 mg once daily to be taken orally with or without meals. MyDacla 60 must be administered in combination with other medical products.The Packeges inserts of the medicinal products in the regimen should also be consulated before initiation of therapy with Natdac 60. Recommended reginmens and treatment duration are provided below. Dose modification of Natdac 60 to manage adverse reactions is not recommended.There is no virologic treatment stopping rules that apply to the combination of Natdac 60 with sofosbuvir. Hypersensitivity to the active substance or to any of the excipients Coadministration with medicinal products that strongly induce cytochrome P450 3A4 (CYP3A4) and P-glycoprotein transporter (P-gp) and thus may lead to lower exposure and loss of efficacy of Daclatasvir. These active substances include but are not limited to phenytoin, carbamazepine, oxcarbazepine, rifampicin, rifapentine, systemic dexamethasone, and the herbal product St Johnâ€™s wort (Hypericum perforatum). 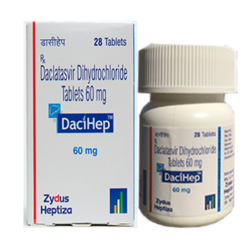 Natdac 60 must not be administered as monotherapy.DeciHeptm must be administered in combination with other medicinal products for the the treatment of chronic HCV infection. The safety and efficacy of the combination of Daclatasvir and sofosbuvir have been evaluated in a limited number of patients with cirrhosis in clinical studies. The safety and efficacy of MyDacla 60 in the treatment of HCV infection in patients with decompensated liver disease have not been established. The efficacy of MyDacla 60 as part of a retreatment regimen in patients with prior exposure to a NS5A inhibitor has not been established. Natdac 60 should not be used during pregnancy or in women of childbearing potential not using contraception.Use of highly effective contraception should be continued for 5 weeks after completion of Daclatasvir therapy. 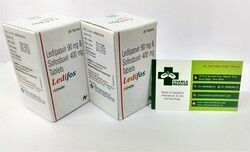 Ledifos tablets contains a combination of two different drugs used to treat chronic hepatitis C virus (HCV). Each tablet contains 90mg of Ledipasvir and 400mg of Sofosbuvir. Together, these drugs act as a potent antiviral agent that treat HCV by interfering with the further replication of the hepatitis C virus (HCV). Ledifos is indicated in the treatment of patients with genotype 1 HCV (the most common HCV subtype in the US and the UK). Ledifos tablets comes in a pack of 28 tablets. Each table will contain Ledipasvir 90mg/Sofosbuvir 400mg as active ingredients. Ledifos has very few sid effects and the majority are mild and will pass with time. If you develop any signes of an allergic reaction to Ledifos (rash, hives, excessive itching, unusual difficulty breathing, tightness in your chest, or swelling of the mouth, face, lips, or tongue), contact your doctor immediately. You may need to stop taking Ledifos tablets. Do not take Ledifos tablets if you are allergic to ledipasvir or sofosbuvir. Do not take Ledifos tablets if you are already taking another medicine which contains sofosbuvir. Some medicines can prevent Ledifos from working properly, or can have there own actions inhibited by Ledifos. The risk side effects of Digoxin or Rosuvastatin may be increased by the use of ledipasvir and sofosbuvir. Packaging Details: Parcel Must Be Take 7 To 15 Days. All Parcel Are Assured Against Non Delivery. Since establishment, we have been playing a lead role in offering Myhep Ledipasvir and Sofosbuvir Tablets. These tablets are used for the treatment of chronic hepatitis C (CHC) genotype 1 infection in adults. Our diligent agents source these tablets from the most authentic vendors of the market. The recommended dosages of Myhep Ledipasvir and SofosbuvirTablets is one tablet taken orally once daily with or without food. We offer these tablets at cost effective prices to clients. MyHepLVIR is two-drug fixed-dose combination product that contained 90 mg of ledipasvir and 400 mg of sofosbuvir in a single tablet.The recommended dosages of MyHepLVIR is one tablet taken orally once daily with or without food. Relapse rates are affected by baseline host and viral factors and differ between treatment durations for certain subgroups. Below provides the recommended LVIR treatment durations for treatment-naive and treatment-experienced patients and those with and without cirrhosis. Packaging Details: Parcels Are Packed Very Safely. All The Parcels Are Insured. 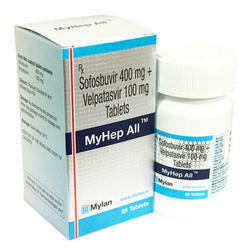 Hepcivir 400mg Tablet containing the active ingredient sofosbuvir is a nucleotide polymerase inhibitor type of antiviral medication used to treat Hepatitis C. Hepcivir Tablets must be used in combination with other antiviral medicines to reduce the amount of hepatitis C virus (HCV) in the body to help the liver recover. Chronic hepatitis C infections can cause serious liver problems such as liver cancer or cirrhosis (scarring). Patients with HIV or liver cancer and are going to have a liver transplant may also use the drug to decrease the risk of reinfection after the transplant. We have carved a niche in the market as a prime organization engaged in offering Sofocure Sofosbuvir 400mg Tablets. Our diligent agents procure these tablets from the certified vendors of the market. 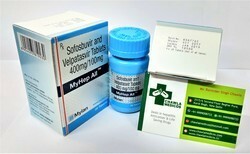 The tablets are used for the treatment of chronic hepatitis C infection in adults. These are film coated tablets each contain 400mg of the main ingredient. Sofocure Sofosbuvir 400mg Tablets are known as nucleotide polymerase inhibitor and work directly on the virus itself. We Are Counted Among Chief Exporters, Wholesalers, Distributors And Suppliers Of Top Grade Sofocure Medicine. This Medicine Is Widely Used For Treating Chronic Hepatitis C Infection In Adults. Offered Medicine Is Formulated Under The Stern Observation Of Brilliant Experts Using Quality-Approved Sofosbuvir Chemical. Appreciated For Its Instant Results And Accurate Composition, This Medicine Is Highly Demanded In The Market. Further, Provided Sofocure Medicine Can Be Purchased From Us In Packaging Of 28 Tablets Of 400Mg At Reasonable Prices. Warning:Sofocure Is A Prescription Drug And Should Be Used Under Proper Medical Guidance And Advice.The Information Provided Here Is For General Educational Purposes Only And Does Not Constitute Medical Or Pharmaceutical Advice Which Should Be Sought From Qualified Medical And Pharmaceutical Advisers. These tablets are used for the treatment of chronic hepatitis C (CHC) genotype 1 infection in adults. Our diligent agents source these tablets from the most authentic vendors of the market. The recommended dosages of Myhep Tablets Tablets is one tablet taken orally once daily with or without food. Packaging Details: New Delhi, India 7 To 15 Days 1 Bottle contain 28 tablets. All the parcel are assured as non-delivery. We have been marked down as a noted organization engaged in offering Ledipasvir and Sofosbuvir Tablets. 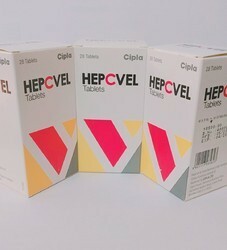 The tablets are indicated for the treatment of chronic hepatitis C (CHC) genotype 1 infection in adults. Our expert agents procure these tablets from the most authentic vendors of the market. 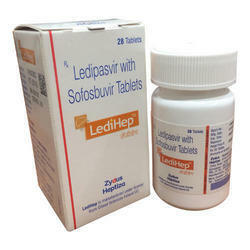 Ledipasvir and Sofosbuvir Tablets contained 90 mg of ledipasvirand 400 mg of sofosbuvir in a single tablet. We offer these tablets at market leading prices to clients. Hepcinat LP is a fixed-dose combination tablet containing ledipasvir and sofosbuvir for oral administration.Each film, coated tablet contains 90 mg ledipasvir and 400 mg sofosbuvir. Hepcinat LP is indicated for the treatment of choronic hepatitis C (CHC) genotype 1 infection in adults. Relapse rates are affected by baseline host and viral factors and differ between treatment durations for certain subgroups. Below provides the recommended Hepcinat LP treatment durations for treatment-naive and treatment-experienced patients and those with and without cirrhosis. *Hepcinat LP for 8 weeks can be considered in treatment-naÃƒ¯ve patients without cirrhosis who have pre-treatment HCV RNA less than 6 million IU/ mL . *Treatment-experienced patients who have failed treatment with either peginterferon alfa+ribavirin or an HCV protease inhibitor + peginterferon alfa + ribavirin. 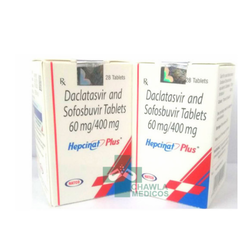 Hepcinat LP is available as Green colored, oval shaped, film coated tablet debossed with one side and plain on other side of the tablet.Each tablet contains 90 mg ledipasvir and 400 mg sofosbuvir. Postmarketing cases of symptomatic bradycardia,as well as fetal cardiac arrest and cases requiring pacemaker intervention, have been reported when amiodarone is coadministered with Ledipasvir + Sofosbuvir.Bradycardia has generally occurred within hours to days,btus cases have been observed up to 2 weeks after initiating HCV treatment.Patients also taking beta blockers, or those with underlying cardiac comorbidities and/or advanced liver disease may be at increased risk for symptomatic bradycardia with coadministration of amiodarone.Bradycardia generally resolved after discontinuation of HCV treatment.The mechanism for this effect is unknown. 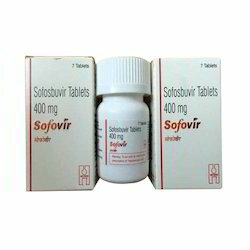 Sofosbuvir tablets are administered orally. Each tablet contains 400 mg of sofosbuvir. 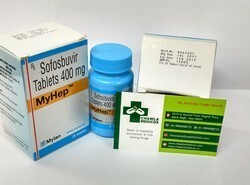 Sofosbuvir is indicated in combination with other medical products for the treatment of chronic hepatitis C (CHC) in adults. Dose reduction of sofovir is not recommended. If a patient has a serious adverse reaction potentially related to ribavirin, the ribavirin dose should be modified or discontinued, if appropriate, until the adverse reaction abates or decreases in sverity.Provides guidelines for dose modifications and discontinuation based on the patientâ€™s hemoglobin concentration and cardiac status. Each film coated tablet of sofosbuvir 400 mg is available as capsules shaped, brick red colored and debossed with 400 on one side and plain on another side. sofovir is used in combination with ribavirin to peginterferon alfa/ribavirin; the contraindications applicable to those agents are applicable to combination therapies. Refer to the prescribing information of peginterferon alfa and ribavirin for a list of their contraindications. When sofovir is used in combinations with ribavirin or peginterferon alfa/ribavirin, women of childbearing potential and their male partners must use two forms of effective contraception during treatment and for at least 6 months after treatment. Monthly pregnancy tests must be performed during this time. There are no data on the effectiveness of systemic hormonal contraceptives in women taking sofovir therefore, two non-hormonal methods of contraception should be used during treatment with sofovir and concomitant ribavirin. The most common adverse events (>=20%) for sofosbuvir + ribavirin combination therapy were fatigue and headache. The most common adverse events (>=20%) for sofosbuvir+ peginterferon alfa+ ribavirin combination therapy were fatigue, headache, nausea, in-somnia and anemia. Packaging Details: Parcel Must Be Take 7 To 15 Days And Parcel Assured As Non Delivery. 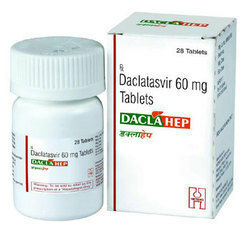 Dacihep 60mg Tablet is used in the treatment of chronic hepatitis C virus (HCV) infection. Take this medicine in the dose and duration as advised by your doctor. Swallow it as a whole. Do not chew, crush or break it. 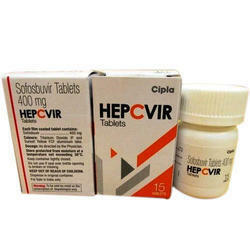 Hepcvel is used alone or with ribavirin to treat chronic hepatitis C. Sofosbuvir is in a class of antiviral medications called nucleotide hepatitis C virus (HCV) NS5B polymerase inhibitors. Velpatasvir is in a class of antiviral medications called HCV NS5A replication complex inhibitors. 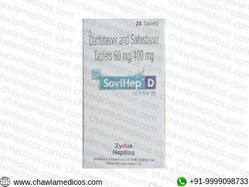 Price of Sofosbuvir 400mg & Velpatasvir 100 mg in India at Chawla Medicos. For more details call or contact us. Packaging Details: All the Parcels Are Insured Against Non Delivery. Chronic hepatitis C infection can cause serious liver problems such as scarring (cirrhosis), or liver cancer.The combination of Resof Total works by stopping the virus that causes hepatitis C from spreading inside the body. 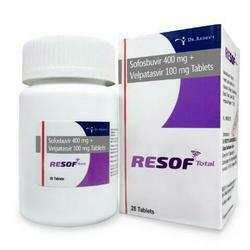 Resof Total ( Sofosbuvir 400 mg & velpatasvir 100 mg) is used alone or with ribavirin to treat chronic hepatitis C. Sofosbuvir is in a class of antiviral medications called nucleotide hepatitis C virus (HCV) NS5B polymerase inhibitors. Velpatasvir is in a class of antiviral medications called HCV NS5A replication complex inhibitors. The combination of Resof Total works by stopping the virus that causes hepatitis C from spreading inside the body. We are not online Pharmacy, Resof Total is a prescription medication pharmaceutical drug that legally requires a medical prescription to be dispensed. Please contact us for more Details, On How To Buy this Resof Total on Valid Prescription and On availability in Delhi & all over India. Resof Total is a prescription drug that can be purchased by a patient only against a valid prescription of a healthcare professional like Gastroenterologist, Hepatologist or a Physician. A headache, Tired Feeling, Nausea, Diarrhea or Sleep Problems (Insomnia). Slow Heartbeats, Weak or Shallow Breathing; or low red blood cells-pale skin, weakness, rapid heart rate and trouble concentrating. Velpaclear Is Use For The Treatment Of Hepatitis C Virus. 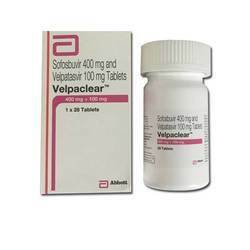 Sofosbuvir And Velpatasvir, sold under the brand name Velpaclear among others. Each tablet contains Sofosbuvir 400 Mg and Velpatasvir 100 mg. It is only recommended with some combination of ribavirin, ledipasvir, Velpatasvir or daclatasvir. Velpatasvir is an NS5A inhibitor which is used together with sofosbuvir in the treatment of hepatitis C infection of all six major genotypes. We are the reliable organization engaged in offering high quality and well-tested Vepaclear Tablets. The offered tablets are appreciated for their purity, effectiveness and long shelf life. Our provided tablets are processed using optimum quality chemical compounds and ultra-modern technology in compliance with industry norms. Apart from this, these tablets are checked by quality analyst against various parameters so as to ensure their quality. 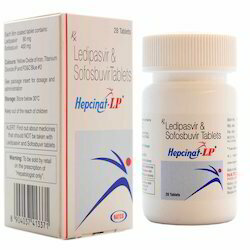 Ledipasvir and sofosbuvir are antiviral medications that prevent hepatitis C virus (HCV) from multiplying in your body.Ledviclear is used to treat chronic (long-lasting) hepatitis C, a viral infection of the liver. 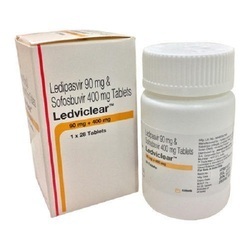 Each Tablet Of Ledviclear Is Contain 90mg Of Ledipasvir And 400mg Of Sofosbuvir. Package Size - "28 Tabs"
Package Type - "Plastic Bottle"
Expiry - "1 Year to 2 Years"
Indication(s) - "Hepatitis C Virus (HCV) Infection"
UPC / GTIN Barcode - "No"
Viroclear 400mg Tablet is used in the treatment of chronic hepatitis C virus (HCV) infection. This drug is a prescription drug. It’s available as an oral tablet. This medicine minimizes the chance of recurrence of the infection after the transplantation. 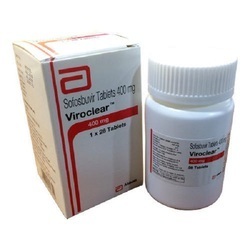 Viroclear Tablet contains Sofosbuvir as an active ingredient. We are the reliable organization engaged in offering high quality and well-tested Viroclear Tablets. The offered tablets are appreciated for their purity, effectiveness and long shelf life. Our provided tablets are processed using optimum quality chemical compounds and ultra-modern technology in compliance with industry norms. Apart from this, these tablets are checked by quality analyst against various parameters so as to ensure their quality. 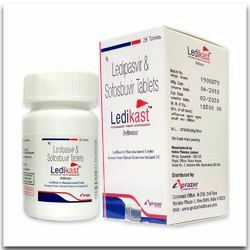 Indian Brand - "Ledikast Tablets"
Active Ingredient(s) - "Ledipasvir And Sofosbuvir Tablets"
Strength - "90mg and 400mg"
Indication(s) - "Used In The Treatment Of Hepatitis C Virus." We have uniquely positioned ourselves as a dependable firm, engaged in offering Ledipasvir 90 mg and Sofosbuvir 400 mg. These tablets are indicated for the treatment of chronic hepatitis C (CHC) genotype 1 infection in adults. We procure these tablets from the certified vendors of the market. The tablets are packed in moisture proof materials to ensure safe transportation. Chawla Medicos offer Ledipasvir 90 mg and Sofosbuvir 400 mg at affordable prices to clients. 28 Store below 30°C (86°F). Note These Tablets is a prescription drug. Do not share the medicine with others, since they may be suffering from a problem that is not effectively treated by this drug. 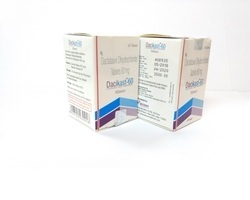 Dacikast 60mg tablet is an antiviral medication. It works by lowering a load of hepatitis C virus in the body and removing the virus from the blood over a period of time.These medications together reduce the amount of hepatitis C virus in your body, which helps your immune system fight the infection and may help your liver recover. Chronic hepatitis C infection can cause serious liver problems such as scarring (cirrhosis), or liver cancer. Is it safe with liquor?Association with liquor is obscure. Talk to your specialist, if you don't mind. Are there any pregnancy alerts?Sovihep D tablets tablet is most likely safe to use amid pregnancy. Animal studies have indicated low or no unfriendly impact on the fetus, be that as it may, there are restricted human investigations. It would be ideal if you talk to your specialist. Are there any breastfeeding alerts?Obscure. Human and creature examine are not accessible. If you don't mind counsel your specialist. Is it safe to drive while on this drug?Alert is exhorted when driving or working hardware. Does this influence kidney work?There is no communication between renal disability and devouring this medication. So dosage adjustment isn’t needed. Does this influence liver work?There is no available information. It would be ideal if you talk to your specialist before expending the medication. The most common adverse reactions(>=10%) were fatigue and headache, aneamia,hot flush,nausea in subjects treated with 8, 12, or 24 weeks of Ledipasvir + Sofosbuvir. TENVIR Hepatitis Medicine,Anti Cancer medicine distributor Suppliers Dealers Exporters Distributors Traders Russia, Ukraine, South Korea, Philippines, Delhi India. Owing to our vast domain knowledge, we have established ourselves as an affluent distributor, wholesaler, trader and supplier of Tenvir Tablets. The offered tablets are used for the treatment of chronic hepatitis B infection. These tablets are precisely processed utilizing fine grade medical grade chemicals according to the defined industry standards. 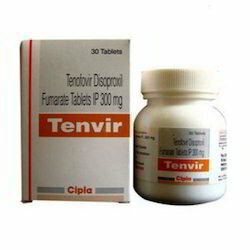 We are providing these Tenvir Tablets in different packaging options to our clients at market leading price. Hepcinat contain oral nucleotide analog inhibitor of the hepatitis C virus (HCV) polymerase. Chawla Medicos have been setting benchmarks of success in the market as a prominent organization engaged in offering Hepcinat. These are antiviral drug, used in combination with other drugs for treatment of hepatitis C. Our expert agents source Hepcinat tablets from India the trusted and certified vendors of the market. We offer these Hepcinat Tablets at affordable prices to clients. 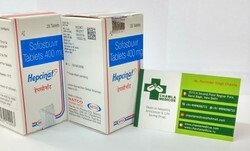 Hepcinat Tablets (Sofosbuvir 400 mg)-Generic suppliers, distributors in Delhi, India. 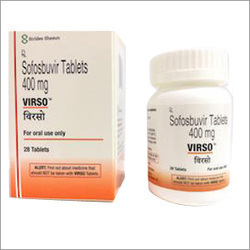 Sofosbuvir 400mg tablets is an antiviral drug which is used in combination with other drugs for treatment of Hepatitis C Virus (HCV) infection. Compared to previous treatments, sofosbuvir based regimens provide a higher cure rate, fewer side effects, and a two- to four-fold reduced duration of therapy. Mechanism of Action:- Sofosbuvir contains oral nucleotide analog inhibitor of the hepatitis C virus (HCV) polymerase. The drug is a direct-acting antiviral agent and interferes straight with the HCV lifecycle, restraining the viral replication. It can be incorporated into HCV RNA by the NS5B polymerase and acts as a chain terminator. The drug is available for oral use in the form of HEPCINAT 400mg tablets. Dosage and Administration: The recommended daily dose of Sofosbuvir is 400 mg tablet to be taken once daily with or without food. Sofosbuvir should be used in combination with Ribavirin or in combination with Pegylated Interferon and Ribavirin for the treatment of CHC (Chronic Hepatitis C) in adults. It is highly advisable to administer the drug under strict medical supervision and advice. Packaging: Each Bottle contains 28 tablets of Sofosbuvir 400 mg. Storage: Store at 25°C in a dry place. Sofosbuvir is a prescription medicine used with other antiviral medicines to treat chronic (lasting a long time) hepatitis C (Hep C) infection in adults. 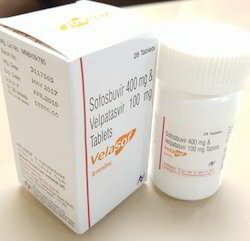 For Sofosbuvir used in combination with ribavirin they include tiredness and headache and for Sofosbuvir used in combination with peginterferon alfa and ribavirin they include the additional side effects of nausea, difficulty sleeping, and low red blood cell count. If you have: liver problems other than hepatitis C infection; had a liver transplant; severe kidney problems or are on dialysis; HIV; any other medical condition; or if you are breastfeeding or plan to breastfeed. You and your healthcare provider should decide if you will take Sofosbuvir or breastfeed. You should not do both. If you take amiodarone Tell your healthcare provider about all the medicines you take, including prescription and over-the-counter medicines, vitamins, and herbal supplements. Other medicines may affect how Sofosbuvir works. When used in combination with peginterferon alfa/ribavirin or ribavirin alone, all contraindications to peginterferon alfa and/or ribavirin also apply to Sofosbuvir combination therapy. Sofosbuvir inhibits the RNA polymerase that the hepatitis C virus uses to replicate its RNA. It was discovered at Pharmasset and developed by Sciences. Bradycardia with amiodarone coadministration: Serious symptomatic bradycardia may occur in patients taking amiodarone and Sofosbuvir in combination with another direct acting antiviral (DAA), particularly in patients also receiving beta blockers, or those with underlying cardiac comorbidities and/or advanced liver disease. Coadministration of amiodarone with Sofosbuvir in combination with another DAA is not recommended. In patients without alternative, viable treatment options, cardiac monitoring is recommended. Pregnancy: Ribavirin may cause birth defects and fetal death and animal studies have shown interferons have abortifacient effects; avoid pregnancy in female patients and female partners of male patients. Patients must have a negative pregnancy test prior to initiating therapy, use at least 2 effective methods of contraception and have monthly pregnancy tests. Hepcdac is used with another antiviral medication (sofosbuvir) to treat chronic (long-lasting) hepatitis C, a viral infection of the liver. These medications together reduce the amount of hepatitis C virus in your body, which helps your immune system fight the infection and may help your liver recover. Chronic hepatitis C infection can cause serious liver problems such as scarring (cirrhosis), or liver cancer. 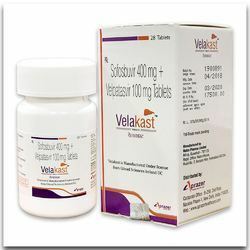 Sofosbuvir With Velpatasvir is an oral fixed-dose combination of sofosbuvir, a nucleotide analog NS5B polymerase inhibitor and velapatasvir, an NS5A complex inhibitor. Sofosbuvir is approved for the treatment of genotype 1, 2, 3 and 4 HCV infection with different regimens and durations dependent on the HCV genotype. Velpatasvir (formerly GS-5816) is a novel NS5A inhibitor that has potent invitro anti-HCV activity across all genotypes at the picomolar level. The combination of sofosbuvir-velpatasvir is the first once-daily single-tablet regimen with pangenotypic activity. 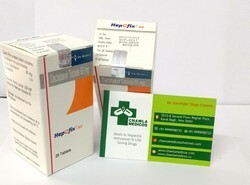 We are the manufacturer of MyHep All.